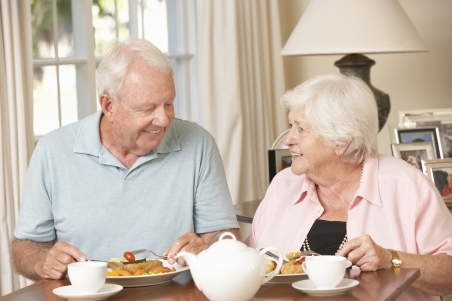 Good nutrition is important for everyone, but it is even more important as you get older. Eating healthy foods in the right amounts gives your body the fuel it needs to get through the day. Eating well can help to prevent or manage heart disease, diabetes, osteoporosis and some cancers. It can also reduce the risk of dementia. What is a healthy weight in old age? A healthy weight from your late 60s onwards is higher than what might have been considered ideal when you were younger. Research shows that you don't need to worry about being slightly overweight as long as you maintain your weight at a constant level. However, being underweight or very overweight is not good for your health. If you are worried about your weight, or you have noticed that your clothes have become looser or tighter, talk to your doctor or practice nurse. Ministry of Health – Food and Nutrition Guidelines for Healthy Older People, retrieved August 2017.